Our Team Are Insulation Removal & Installation Experts! Your attic insulation is more important than you might think, and having a worn, torn, old or simply inefficient insultation can not only affect your electricity bills and the indoor temperature, but your health as well, especially if there is any mold involved. Our experts have got you covered from thorough and professional inspections, consultations, and of course installations and replacements. Everything you need for your attic in one place – Duct & Attic Cleaning Experts! What Can Be Wrong With My Attic Insulation? Unfortunately, there are a lot of factors that can negatively affect your home's insulation. If pests have gotten into the area it can cause a lot of problems, particularly with rodents. They will rip it apart to use for nesting, creating holes and drastically lowering the integrity. They also tend to contaminate it and other parts of your attic with their waste, which carries diseases that can get into your home. Water is another issue, as if it leaks in from the roof or otherwise, it will get absorbed and damage the material. It also creates a breeding ground for mold that's harmful both to your house, and those inside it. Even age takes its toll over time, degrading it until it slouches out of place and leaves cold spots to allow air out. Any harm to your attic's insulation puts your home at risk for higher energy spending as well as issues with temperature regulation. If it's not working as it should, air will get out of the house rather than remaining inside to circulate and regulate the temperature. Your air conditioning and heater then work for longer to make up for it, which is how energy, as well as your money, is wasted. If you notice that your bill is rising steadily, and the temperature is inconsistent depending on the room, it's time to get it checked out. Another pressing issue with insulation, especially one that was exposed to moisture or leaks, is mold. Once mold has set in, there is no way of getting rid of it without getting rid of the insulation. Mold is very dangerous to your health, especially when it becomes air borne. Our professionals will not only remove every piece if infected insulation, but also decontaminate the entire area to make sure no spore is left behind. Looking For A Reliable Attic Insulation Service Near You in Houston? Whatever the trouble, our professionals will have it fixed up in no time! We can install fresh insulation into new buildings or those who have had what was there already taken out, remove anything that's been damaged, and replace it with something brand new that will better help your home's energy spending. We'll help you determine what type is best and have it done before you know it. We'll ensure there's no cross-contamination, and that it's done right the first time so it will last! It is our mission to make sure you are one hundred percent satisfied with every project done, no matter the scale, and to make sure you can go back to your schedule as soon as possible. At Duct & Attic Cleaning Experts, Houston, you can find everything you need to make sure your home is clean, insulated, and rodent free! Browse around our website for more information about our services and solutions, and give us a call at any time if you have any questions or need help getting your attic or crawl space examined, rodent proofed, and professionally cleaned! What ever the problem is, we’ve got it covered! 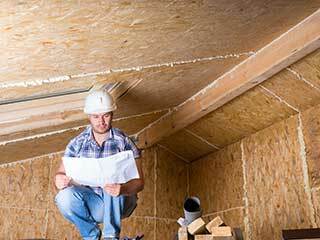 What is the best attic insulation material? The best and most common attic insulation materials are open cell spray foam, loose-fill and batts insulation. Spray foam is best applicable for unfinished attic floors and is applied using pressurized containers. It is excellent for irregularly shaped areas and around obstructions. Blown in cellulose can be great for attics with low clearance and as additions to existing insulation, while fiberglass batts can be good for standard size spaces with sufficient height to move around. Before you choose the type of insulation for your attic, ask a professional to inspect the area and give you a recommendation. Choosing the right material can save you a lot of money in the long run, and choosing the wrong material for your needs, or one that doesn't meet them fully, can have the opposite effect. 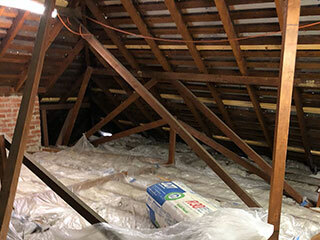 Can I install attic insulation over existing material? The general answer is yes, you can definitely install new insulation over old one, unless it is wet or looks like it was wet recently. In this case, you should locate the source of the moisture and get it fixed before new material is added. Mold and rotten roof rafters might be lurking about without being easily visible. Our specialists will be able to inspect the condition of the existing material and determine the next steps. In most cases, air sealing the attic before installing the new material will be the recommended thing to do, in order to ensure high-energy efficiency. What is the R value I need for my attic? The R-Value of a certain space determines the type, thickness, and density of the insulation material you'll need to install in it. This R-value will depend on the climate conditions in your geographical area (zone). As a general rule, high values represent greater effectiveness, so naturally, the higher the better in most cases. The type of heating used in the house (natural gas; oil furnace; electric furnace; etc) also influences the R-value needed, as well as the part of the house in question (wall; floor; crawl space; basement; and so on), as different areas will need less or more insulation. 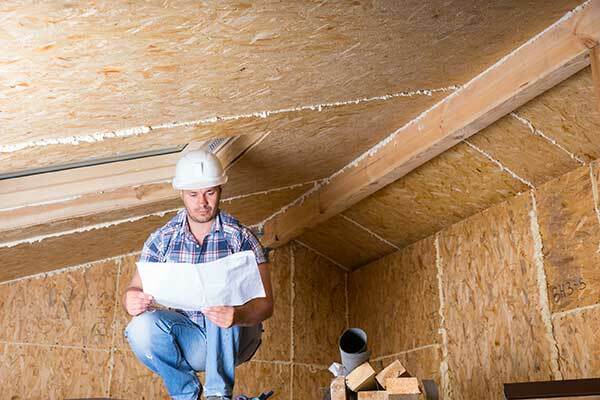 To determine the R-Value for your attic you first need to find out your 'zone'. In zone 1 which is the hottest areas in the US, un-insulated attics need R30-49, while in zones 5 to 8 which are the coldest areas, R49-60 is usually needed. You can look for more specific details in the maps and tables produced by the US Department of Energy, or simply consult with our experts.